The South Australia (SA) Police Academy has started using a new 300-degree virtual reality firearms simulator to provide police officers with enhanced training for high-risk situations. The AU$480,000 ViraTra simulator will be used to train cadets, refresh skills of frontline officers, and provide advanced training for STAR (Special Tasks and Rescue) Group. The simulator provides highly-realistic scenarios, allowing officers to hone and develop communication skills, decision making, de-escalation abilities, and rapid response. The simulator will also be used for testing officers across marksmanship, pistol and electronic control device (tazer) abilities. By incorporating a live fire range without the use of real ammunition, the simulator will save costs on ammunition, reduce environmental impact of firearms training, boost safety, and reduce the number of training days cancelled due to unfavourable weather. The commissioning of the simulator coincides with the largest intake of police cadets in history, as the State Government fulfils its commitment to recruit an extra 313 frontline officers by 2018. Currently, 360 cadets are in training at the Police Academy, which is believed to be the most in training at one time since 1977. SA Police training officers have been receiving training on the technology since June, with the simulator now fully operational. It is compatible with simulators used in other jurisdictions, which means training programs can be shared nationally. 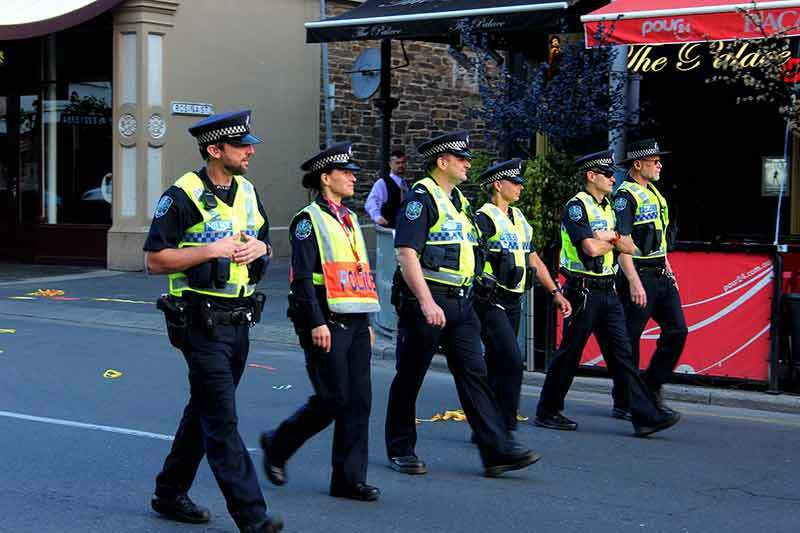 The press release states that Victoria Police have seen an overall improvement in officer skills since the introduction of the technology. “The Victorian police force has seen a lift in officer capability since introducing a similar firearms simulator. It is an unfortunate reality that at times our police are required to use extreme force – this investment set to improve safety for both officers and the community.” he added.